This class is intended for beginner welders and those looking to brush up on rusty skills while building something fun and functional. 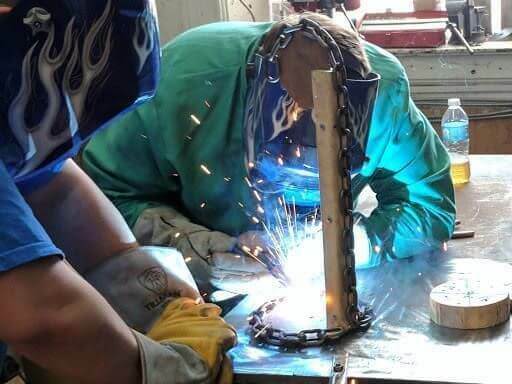 Students will learn to tack-weld into place, fully weld steel. 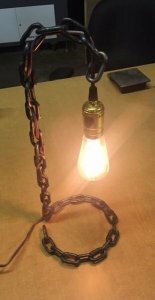 Each student will make and take home an industrial lamp made from heavy duty chain w/ Edison style bulb. No experience needed. Please remember no open toed shoes, and you must wear natural fiber clothing (denim, cotton, etc.) for this class. Ticket must be purchased to ensure your spot in the class!